We often need help at events (promotion, set up, staffing stalls, raffle ticket sales, etc.). 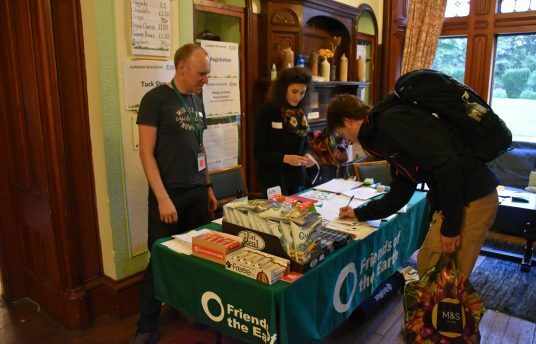 This is a great way to meet like-minded people and practice engaging the public in environmental issues, and we provide all relevant training. Take a look at the Events Volunteer role description and write us an email if you’d like to be added to our volunteer mailing list. We only infrequently have specific, office-based volunteering positions available. These are advertised on our Jobs page when they become available. Please sign up to our mailing list to receive updates, or check out our network of local groups for more ways to get involved near you.